All this poor young woman from Tennessee wanted was a tattoo of a Chinese phrase on her ankle to celebrate her love of languages and travel. So she asked someone on the internet to translate a phrase for her. And, of course as the laws of the internet decree, she got trolled. Somebody tricked her into getting NBA star Jeremy Lin’s name in Chinese permanently etched on her skin. “Always check your sources,” is now something Holland Christensen will never forget. So according to the video above, she reached a crossroads. She could kill herself forever for making such a foolish mistake, or embrace it. She chose the latter. Holland didn’t even know who Jeremy Lin was, but she did her research, as thoroughly as she probably should have checked the tattoo, and quickly became Lin’s biggest fan. 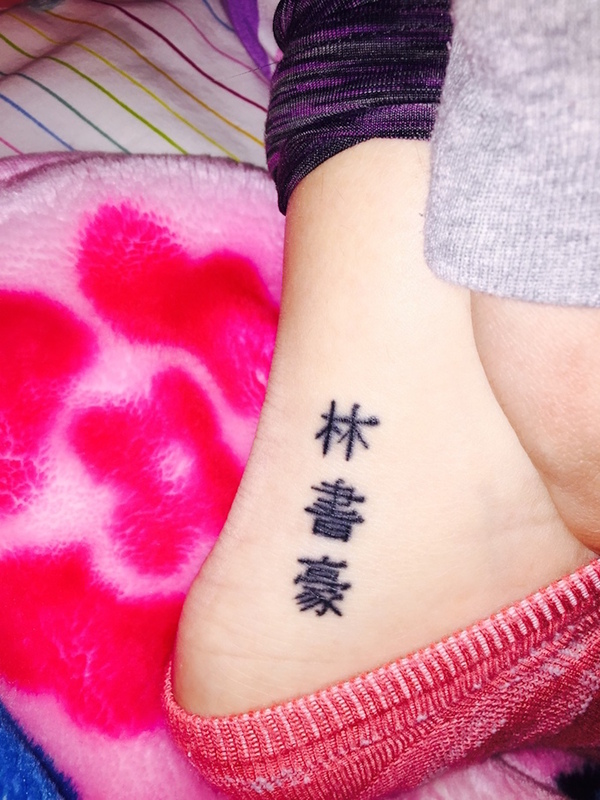 First, she considers a Chinese characters tattoo to be a “basic white girl” thing. (Mama, we made it). She asked the internet to translate a Chinese phrase for her. Somebody trolled her, gave her Jeremy Lin’s name instead. Holland didn’t fact check her tat and went and got it done. A few days later she found out the truth. And she didn’t even know who Jeremy Lin was. She could now be upset about the tattoo or own it. She decides to embrace the Linsanity, but first she needs to do her research. She watched every game she could find on YouTube. Holland and Jeremy have a shared interest in helping underprivileged youth. They both also have the shared history of failing their first respective driver’s tests for driving too slow. Holland gets tickets but her friend bails. She goes to Reddit to find someone to watch the game with her. The story hits the internets. He also posted this photo to Reddit of himself copying the tattoo on his own ankle. You’ll go far in this business, Jeremy.